Ancha, 18, 24003 Leon, Spanje. 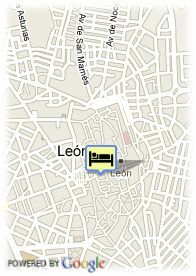 The Paris Hotel is a friendly establishment perfect to spend the time in Leon. This hotel is located in the same old town of the city, in a pedestrian and monumental area next to the Cathedral. The Paris Hotel offers 63 comfortable and large rooms. All of them have complete Bathroom, telephone, satellite TV or Wi-Fi, among others. Among its modern facilities, stands out the La Pausa de París Spa, with jet swimming pools, Jacuzzi, sauna, booth and an unending number of relaxation treatments. 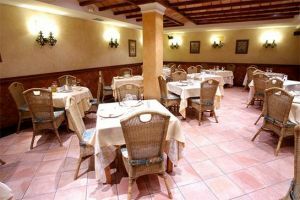 Moreover, the establishment offers elegant lounges and an exquisite typical tavern, where you can taste the best roasts and dishes from the region. The Paris Hotel is the perfect place to celebrate working reunions or conventions, disposing of lounges equipped with the up-to-date technology. Due to its facilities and location, the Paris Hotel is perfect both for business trips and holidays.